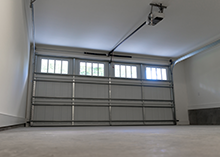 HighTech Garage Doors knows your garage doors will eventually succumb to the wear and tear of constant use. Understanding this, we recommend that you install durable, sturdy, tough garage doors for your commercial needs. These doors are specifically designed to withstand the rigors of all of the heavy machinery and equipment that you have in your shop, as well as the harsh effects of weather. THe commercial garage doors that we make available are designed to be attractive on the outside but tough on the inside. Your choice for a garage door is among a wide range of top line name brands. The choice you make depends on your needs. From roll-up doors manufactured with hard metal or durable but tough industrial doors, HighTech Garage Doors provides guidance to help you locate the door best suited for your home or business. We also maintain an inventory of insulated doors designed to protect your garage’s assets or provide hot or cold storage through insulation and temperature control. The garage doors that HighTech Garage Doors offers operate in a safe and effective manner. We offer doors manufactured with high-quality material that are more than durable. Insulated doors are designed to protect against the harsh elements and extremes in hot and cold. These doors also enhance your comfort while you work, saving you money on energy costs through a reduction in your heating or air conditioning bills. Finding the right garage door is the job of HighTech Garage Doors, a provider of top-of-the-line, quality garage doors and garage door services. 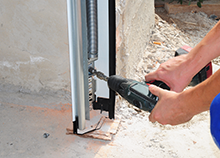 We provide you with a team of experts who are available to you in order for you to make the best choice of garage door that is suitable to your needs, meets your style preference and is well within your budget. One car or two car garage doors for residents or large roll-top industrial type garage doors for your business are no problem for HighTech Garage Doors. We are in the business of ensuring access to your garage and have been doing so for businesses and residents here in the Staten Island, NY for some time. We know that our experience means that we can also assist you. A large inventory of name brand garage doors are available and kept in stock by HighTech Garage Doors for our commercial and residential customers. A wide array of garage door components, parts and accessories are also available. HighTech Garage Doors can also assist you with the installation of a new or upgraded garage door for your business or home.